This 3-piece stainless steel cutlery set includes a knife, a fork and a spoon encased in a plastic holder, perfect for travelling or for when you bring your lunches to work. 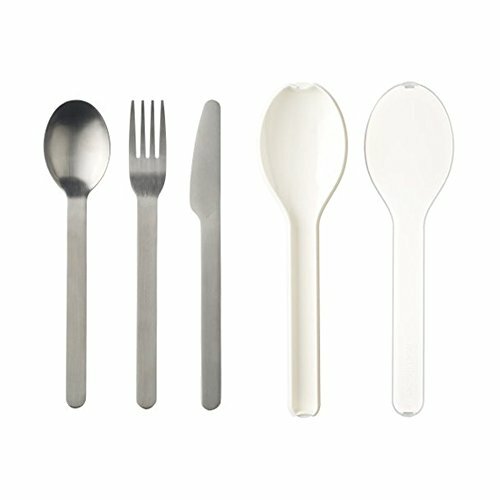 The cutlery set is BPA free and dishwasher safe. If you have any questions about this product by Mepal, contact us by completing and submitting the form below. If you are looking for a specif part number, please include it with your message.